Amazon naming their color eReader tablet, Kindle Fire didn’t come as a big surprise for us here. In fact this name was mentioned on our blog as far back as December 25th, 2010… Back then we had a Kindle Color name guessing contest and back then, subscriber with nickname “shyam”, submitted Kindle Fire as his guess and was right. Back then I promised a grand prize of Kindle Color reader to whoever would correctly guess the name first. After making this post I’ll be contacting Shyam via email so that he can claim his prize. If you are would like to win free Kindle Fire or free Kindle Touch for yourself, there is a chance for you to do as well. Just use the button below to tweet about our Kindle Fire and Kindle Touch coverage and follow @blogkindle (so that I can contact you in case you win). One day before Kindle Fire starts shipping (on November 14th, 2011) I’ll randomly select a winner and ship the prize overnight. 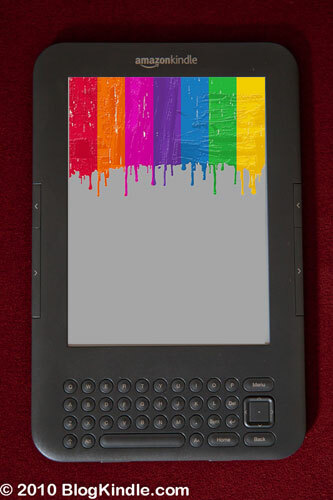 A while ago I ran a contest for guessing a name of Color Kindle device when it comes out. And the prize goes to… Taylor Harris who lives in Hot Springs National Park, Arkansas, and has been a Kindle owner since March of 2009. He’s a fan of Willa Cather, reads Robert D. Kaplan, and can’t get enough of Louis Meyer’s Jacky Faber series. His guess was Kindle Hue. There’s still a chance for everyone who participated to win the grand prize – the Color Kindle itself once it comes out. Stay tuned. I work in education and I am looking forward to using a DX for reading academic documents in PDF form and pushing the limits of the Kindle DX browser. My estimate of the release date was influenced by the belief Amazon would not want to wait too long after the beginning of Apple WWDC (assuming some announcements there) and perhaps in the middle of the week to pull some attention. The prize (Amazon Kindle DX Leather Cover) is pre-ordered and will ship on the same day as Amazon releases Kindle DX. Congratulations, Jay! There will be more contests in the future so subscribe to this blog or follow it on twitter if you are interested. 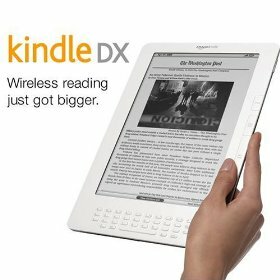 According to Amazon website Kindle DX will ship on the the 10th of June 10th, 2009. There were some speculations earlier about release date being 6th of July or 24th or June. However as it turns out we can start enjoying large screen reading much sooner. I hope that my order it high enough in line to ship on first day Kindle DX is available so you can see a comprehensive hands-on review from me as soon as it arrives. As for the Kindle DX Release Date contest, I realize that one week before official announcement rule would bar all entries but I wouldn’t feel right about it. Therefore I’ll choose a winner from people who submitted entries on or before 31st of April. I’ll post results once I’ve contacted the winner. I don’t think anyone would object to this last minute change in the rules. There are more contests coming up and best way to stay on top of them is to subscribe to this blog. I’ve decided to have another date guessing contest here on BlogKindle.com. This time it’s about guessing the release date of Amazon Kindle DX. The rules are quite simple: pick a date and send an email to [email protected] with the date in the subject line in the following format: MM/DD/YYYY. So 4th of July 2009 would correspond to 07/04/2009. Please be careful about the date format as I use automated means for selecting winners. This means that if you get the date right but write it wrong you can not win. I’ll randomly choose a winner from all the people who correctly guess Kindle DX release date or among those who guess the closest. The prize would be Amazon Kindle DX Leather Cover that would go nicely with your Amazon Kindle DX once it’s released. I’ll never use your email addresses for any other purpose than contacting the winner. People who participated in the previous contest can testify to that being true – except for the lucky winner, none ever heard from me. If you like the idea of this contest you can help by letting other people know about it and this blog. I just performed my everyday 0:01am check and I see 256,806 books available in the Amazon Kindle store. It means that the winning date is March 31st, 2009 (03/31/2009)! Now I’ll go and scan all e-mails I received for the competition to find a winner. It may take me some time but I expect to notify Kindle 2 winner within next 2-3 days. Thanks everyone for participation and I’ll keep you posted! As of 00:01 PST 3/20/2009 the book count was 252,289 so starting from that time no more entries are accepted. At the time of this posting the count is 252,758. This means that pretty soon we’ll have a winner who will receive a brand new Kindle 2. As I look at it right now, there are 251,651 books availabale for purchase. Way to go Amazon! This also means that unless some books are pulled back (which did happen several times before), today would be your last day for submitting entries to win a free Kindle 2 contest. So hurry up. You have until 11:59PM PST 3/19/2009 to submit your entries. 235 entries has been submitted so far. Good luck! There are 131 entries now and 249,365 books in the Kindle Store . It’s getting quite close to the cut off number so if you didn’t submit an entry for your chance to win Amazon Kindle 2 you should probably do it within couple of days.